IBM FileNet Process Administrator is a tool you can use to view and manage work in progress. With Process Administrator, you can search for and view workflows, edit workflow data and properties, and manage workflows. 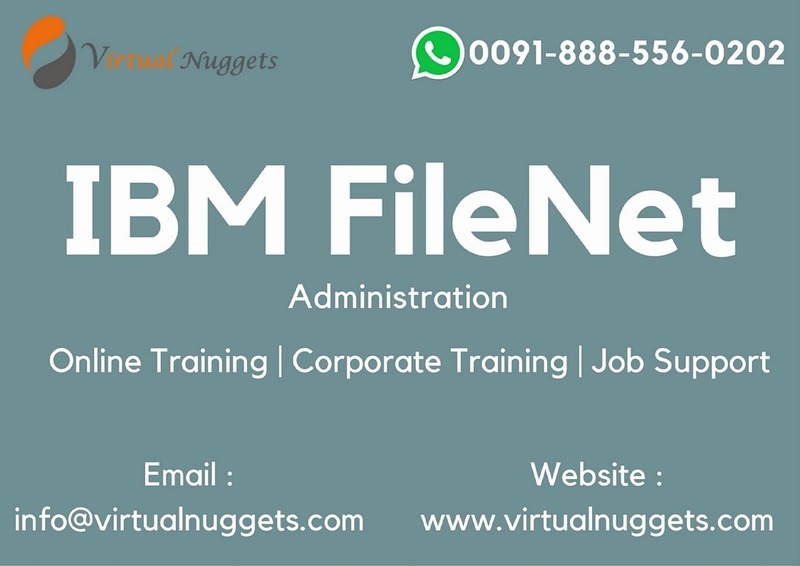 VirtualNuggets provides IBM FileNet Admin Training for the participants who are very keen to learn the course. We offer IBM FileNet Administration Training for individuals and corporate companies as well as in-house training for those companies. We are in association with certified industry experts who have practical knowledge in the IT industry and we provide every trainee with training and materials based on real time projects and examples. VirtualNuggets is a great path to learn IBM FileNet Training by professionals. For more details contact VirtualNuggets by below address.